Submitted by Stefan Drissen on Wednesday, May 16, 2018 - 20:49. 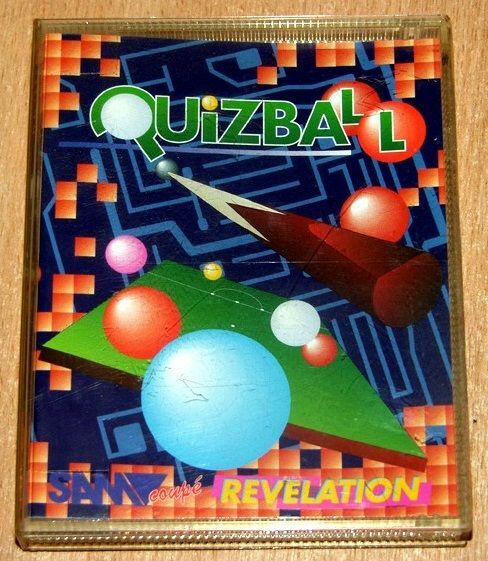 A general knowledge game, based on the theme (and scoring system) of snooker. Isn’t Dennis Taylor a bit of a prat? What, with his crap glasses and his rubbish waistcoat, he’s also doing adverts for Vision Express!! 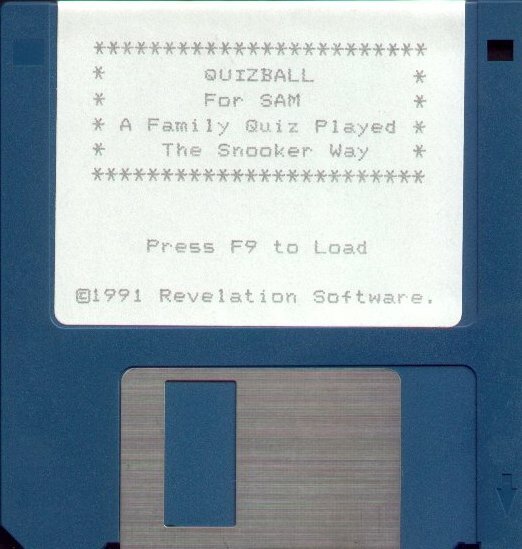 Sorry, Dennis… Well, I had to do an intro on Snooker! But now, SAMCo has done a rather good conversion of the Radio 1 oldie “Give us a Break”. The game is obviously based around snooker, and gives you the chance to have 2 players, battling against each other. First of all, you get the chance to try and pot a red, followed by a coloured ball. 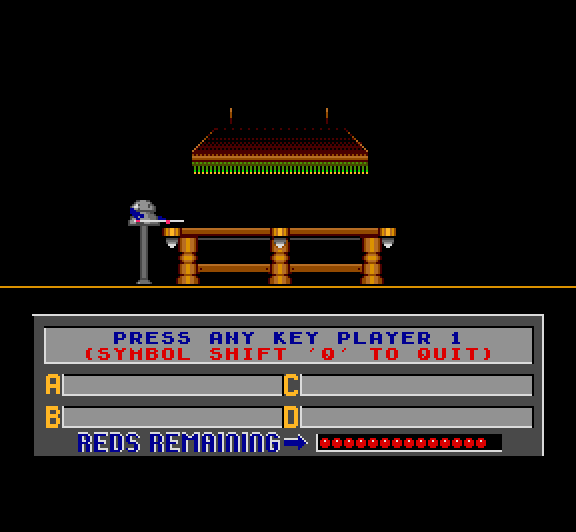 Inbetween this, we are given a nice animation of the SAM robot, coming up to the table, and preparing to pot. Then, you are given the chance to answer a question, based on nature, geography, history, sport, or even the SAM! 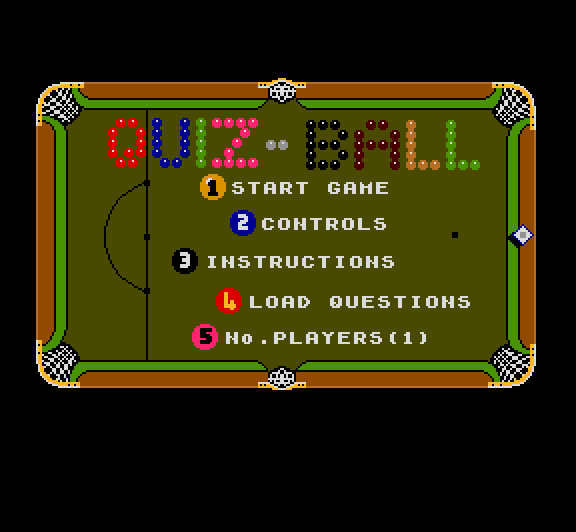 Then you have to answer the question, by tapping keys A,B,C or D. Some questions are pretty easy, but the other questions are rock hard! 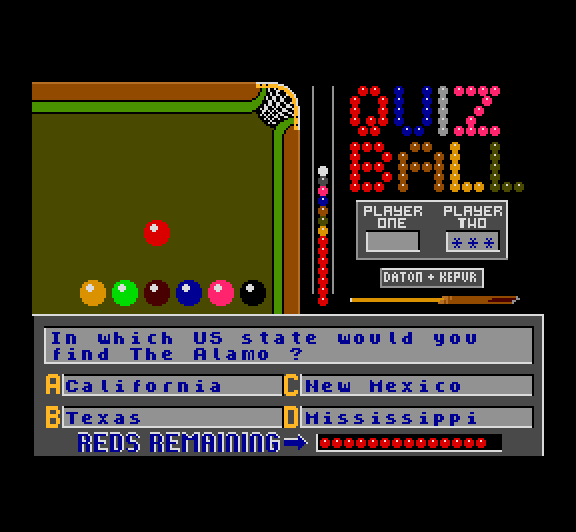 You are played against the clock, represented by a cue, knocking away at the balls in a column. This gets faster, varying by the colour of the ball(Yellow to Black!). This really puts the pressure on, with you wildly pressing any key! The music on the game is rather grand, and the graphics are of a high quality too. This could be because the people behind it are Masters of Magic! Overall, this game is great for the family, or for anyone who wants to learn some facts! Already I know the number of bones in the human body (206), and the guy who ran the 4 minute mile!